Few weeks ago, I ran out of ink in our printer and I need to print something. I have no choice but to go to the nearest computer shop. Not really near because it is a loooooong walk. On our way to the computer shop my son was already complaining. It was really hot, tiis lang talaga. On our way home I saw halo-halo kiosk and bought halo-halo for my son. P25 per cup and I was so disappointed kasi puro pinipig at gulaman lang, di ko na makita yung ibang ingredients na nilagay sa konti, but my son enjoyed it. 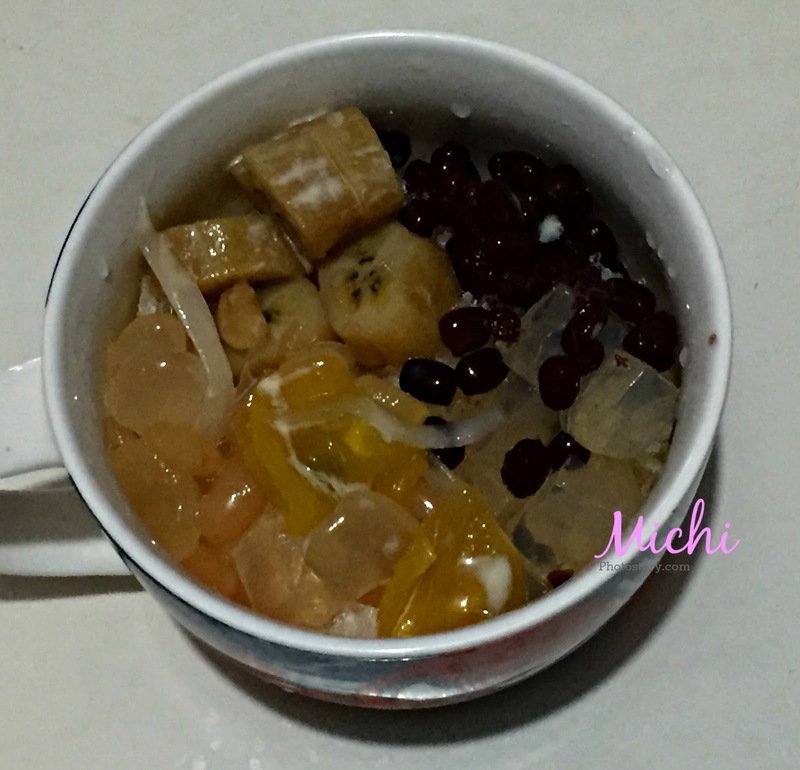 Last Saturday, I saw this Florence Halo-Halo Mix P154.95 at the grocery. 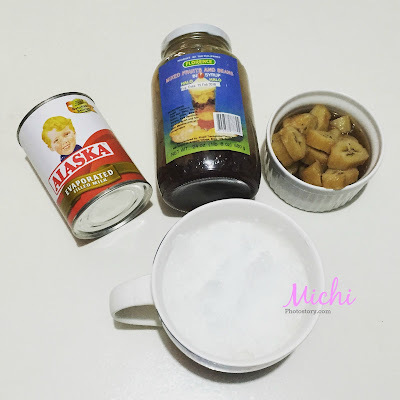 The bottle includes nata de coco, kaong, monggo, few beans, buko strip, langka and 1 slice of banana. As in literal na isang piraso lang. Lol. I told hubby na maghalo-halo kami so we bought 1 bag of crashed ice P40 before going home. I was happy because we can eat halo-halo na di tipid sa ingredients. Good thing that I still have leftover sweet saba. We had fun eating our DIY halo-halo, perfect for summer weather and the crashed ice lasted for 20 hours so sulit. It's really hot na and this is a good idea kasi mahal na din halo-halo hehe. Mas tipid pero di tipid sa lasa, hehe. Makabili nga ng ingredients hehe. Super agree sa "mas tipid pero di tipid sa lasa". hehehe! I am craving for halo-halo again. This is a perfect cooler this summer.